Base Ball BaseBall and Two Teams Too. Wow !!!!!! Blogs - ChicagoSportsBlogs.com : Chicago Sports Blogs Bulls Hawks Bulls Bears Blackhawks Loyola Ramblers ChicagoCubs Cubs WhiteSox ChicagoWhiteSox WrigleyField Wrigley TheCell SoxPark. 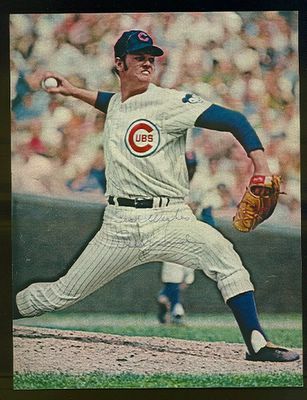 Vintage Chicago Sports Pics...GO CUBS! The Chicago Cubs announces their tentative 2008 regular season schedule, set to begin on March 31 vs. Milwaukee at Wrigley Field and conclude on Sept. 28 in Milwaukee. The Cubs will open the 2008 campaign at home for the first time since 2001 and just the second time in the last 12 seasons. The 2008 season opener vs. Milwaukee represents the first-ever regular season game in the city of Chicago in the month of March. The Cubs previously opened at home as early as April 1 in 1996 vs. San Diego. The season-opening homestand features a pair of three-game sets against the Milwaukee Brewers (March 31-April 3) and the Houston Astros (April 4-6). Chicago's first road trip is a pair of three-game series in Pennsylvania against Pittsburgh (April 7-10) and Philadelphia (April 11-13). 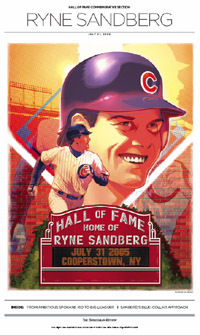 The 2008 schedule features five interleague series, including the traditional home-and-home series against the Chicago White Sox (June 20-22 at Wrigley Field, June 27-29 at U.S. Cellular Field). Chicago also hosts the Baltimore Orioles for the first time at Wrigley Field (June 24-26). The Cubs visit Toronto (June 13-15) and make their first-ever visit to Tampa Bay (June 17-19). The Cubs 2008 tentative schedule features a trio of three-series homestands but just one three-city trip that does not occur until Sept. 5-14 at Cincinnati, St. Louis and Houston. The Cubs longest homestand is a 10-game, 10-day stay May 9-18 against Arizona, San Diego and Pittsburgh. The Cubs are scheduled to host four holiday games: May 11 vs. Arizona on Mother's Day, May 26 vs. Los Angeles on Memorial Day, June 22 vs. the White Sox on Father's Day and Sept. 1 vs. Houston for Labor Day. The Cubs are scheduled to be in St. Louis for the Fourth of July. In 2008, the Cubs are scheduled to make two or three trips to every opponent within the National League Central but just one stop at every other ballpark in the National League. Chicago will be in Washington in April during the first month of the play in the Nationals' new ballpark and the Cubs will be in New York for the start of the final week of regular-season games at Shea Stadium the last week of September. The Chicago Bears Blog .